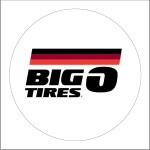 Big O Tires is part of the same organization that owns Tire Kingdom, National Tire & Battery (NTB), and Merchant’s Tire. All of these companies have locations in their own regions and share a similar pricing structure. The coupons for oil changes, tires, brakes and other services are usually the same within the branches of these companies as well. Big O Tires is one of the nation’s largest retail tire companies with over 50 years of experience.